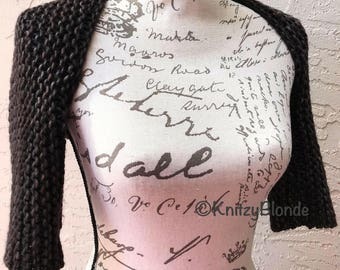 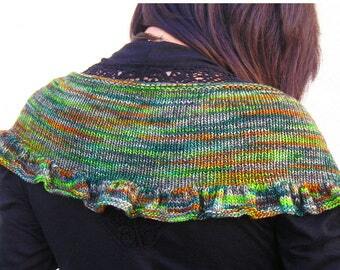 Wrap up in this lovely, slightly ruffled shawl, hand knit in this beautiful rustic-look merino wool yarn, incredibly soft, toasty warm and delightful to wear. 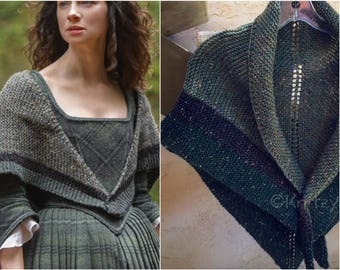 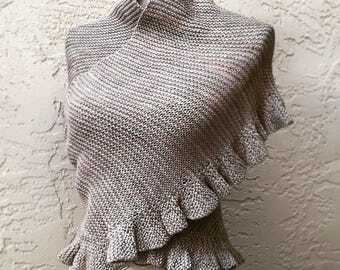 It is a replica of the shawl that Jenny Murray wears on Outlander. 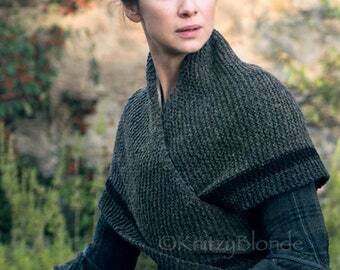 It's also such a great shawl that she loans it to Mary McNab (when she visits Jamie Fraser in the cave), and she knit a brown one that her daughter Janet Murray wears in other season 3 episodes! 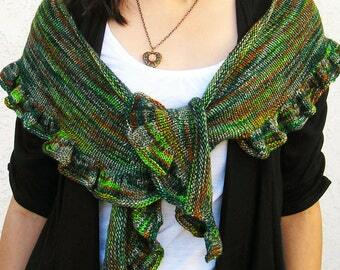 The slight ruffle is on one side of the scarf, and it tapers from the widest point in the center and the narrowest at each end. 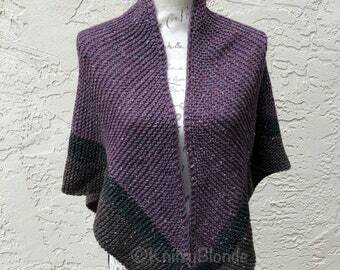 The scarf measures 74" long and is 18" wide at the widest point (center). 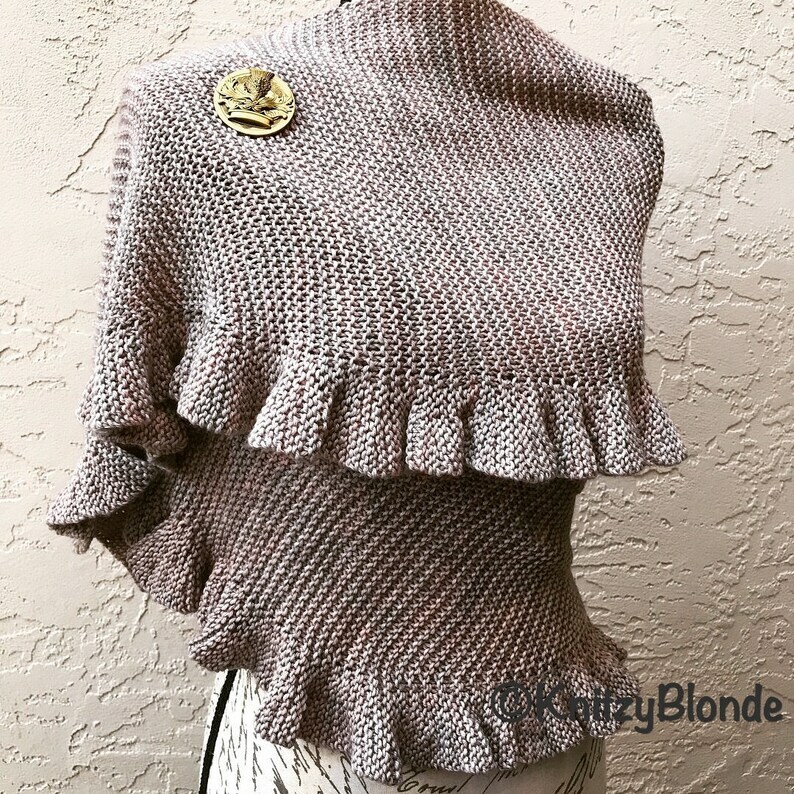 Available in 6 different colors (see last photo for color choices), please use the drop down menu to choose your color before adding to the cart.